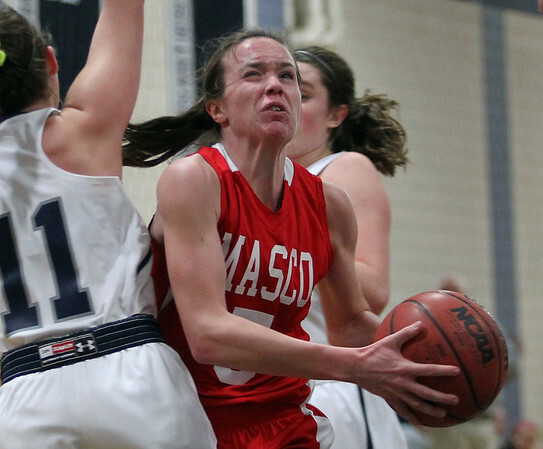 Masco senior captain Meghan Collins (5) drives hard to the hoop while being fouled by Hamilton-Wenham junior Molly Eagar (11). DAVID LE/Staff photo. 1/6/15.